Invisalign is a virtually invisible treatment plan that uses a series of clear, plastic aligners that will gradually straighten your teeth. The aligners are removable and will perfectly fit your teeth. With this treatment plan there is no need for any brackets or wires so it is perfect for adult patients who don?t want metal braces. Invisalign aligner trays are made out of patented SmartTrack? thermoplastic material that is made specifically for Invisalign. Your doctor will create a digital treatment plan for your teeth that will correct your teeth properly. Your invisalign trays will need to be replaced every couple of weeks and your doctor will be with you every step of the way to ensure that your trays fit perfectly. This treatment is focused more on esthetic purposes and is not typically used on patients who have more complex dental problems. This treatment is effective for both teens and adults who want a better smile without the pain of metal braces. ? There are many great benefits of the Invisalign treatment that makes it stand apart from other treatments. Invisalign aligner trays are virtually invisible so people won?t even be able to tell that you are wearing them. This is a great solution for adults who simply don?t want people to know they are wearing braces. Metal braces have many different issues that can make things a lot harder on your mouth such as complications with speech and eating. One of the best benefits of Invisalign is that you can remove them for eating and drinking. Invisalign trays are also very low-profile so they won?t affect your speech in any way. 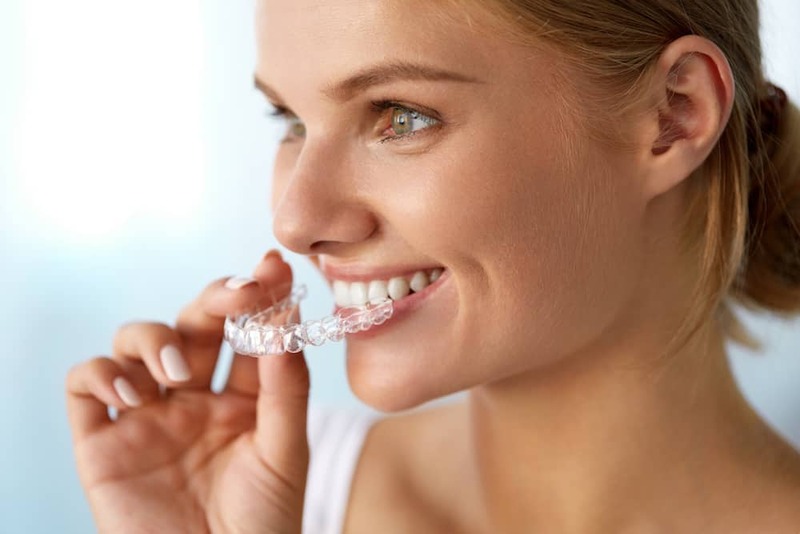 If you would like more information about Invisalign then call to schedule an appointment today.